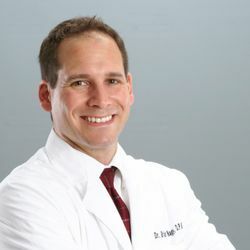 AtlasFAI welcomes Dr. Brian Nagy on board to serve in New Hampshire. SOMERSWORTH, N.H. - July 13, 2018 - PRLog -- Let us introduce Dr. Brian A. Nagy from our North Hampton & Somersworth centers! Dr. Nagy is thrilled to be joining us as an AtlasFAI Affiliated Office. He has been serving the New Hampshire area since opening his practice in 2002. Dr. Nagy attended the Ohio College of Podiatric Medicine in Cleveland, Ohio earning his Doctor of Podiatric Medicine degree in 2001, and completed his residency at the Presbyterian Medical Center in Philadelphia, PA in 2002. He has hospital affiliations with Exeter Hospital in Exeter, and with Wentworth Douglass Hospital in Dover. He is an avid cyclist, and as an athlete himself he understands very deeply the need for your feet to be pain free. Dr. Nagy is licensed with the State of New Hampshire Board of Registration & Podiatry, License #0302. He also sits on the Board of Directors for the Academy of Minimally Invasive Foot & Ankle Surgery. Profoessional certifications include being certified in MASS Position and Theory of Biomechanics and being a diplomate for the American Board of Podiatric Medicine. Dr. Nagy is a Qualified HyProCure® Surgeon. He has completed the training to be a Qualified Surgeon for the HyProCure stent. This is an amazing treatment for a number of foot and ankle problems and having this done by someone who is trained and certified will ensure you have the best results. He will be serving patients in both his New Hampton and Somersworth offices. Dr. Nagy and his practice continuously work together to realize a shared vision of uncompromising excellence in podiatric care. He provides podiatric care for all ages, and has a passion for treating all types of foot and ankle conditions. We're honored to have him join the AtlasFAI Family!